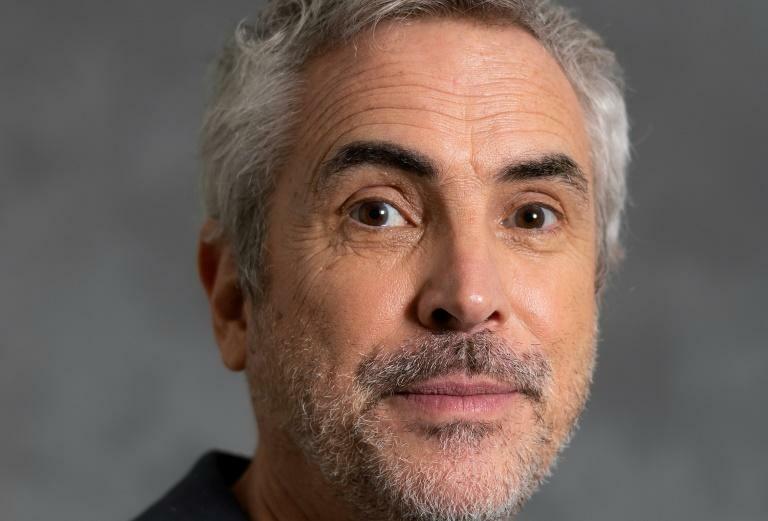 Mexican filmmaker Alfonso Cuaron has experimented before with styles and genres, from space epic "Gravity" to road trip coming-of-age tale "Y Tu Mama Tambien" to fantasy flick "Harry Potter and the Prisoner of Azkaban." But with "Roma," his highly acclaimed autobiographical love letter to his childhood, he flipped the script, so to speak -- a lot of the time, the actors didn't even have the whole script. He filmed chronologically, in black and white, and did the filming himself. Sometimes he gave the cast contradictory instructions to see what would happen, and if it would yield movie magic. 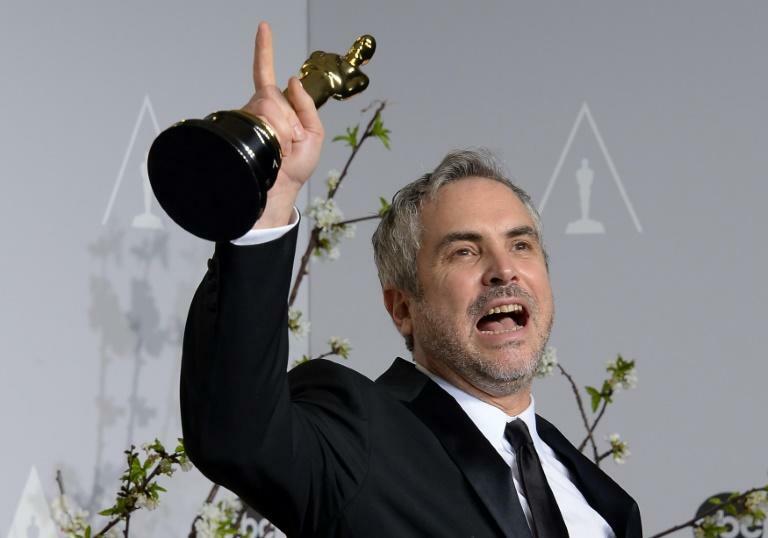 Based on the 10 nominations his film earned for the Oscars on February 24 -- including four for Cuaron alone, for best picture, director, original screenplay and cinematography -- it seems he did something right. The project is perhaps the most personal of his career -- a near-retelling of his childhood in Mexico City, in the Roma neighborhood, at 21 Tepeji Street. Unlike some of his Hollywood fare, the film was made in Mexico, by Mexicans. The dialogue is in Spanish and the indigenous Mixtec language. "It was a process that I did not know how to pull off -- reinventing and learning as I went was fundamental," the 57-year-old filmmaker, already an Oscar winner for best director and film editing for "Gravity," told AFP. Cuaron wanted to make a film like no other in his career, which is why he went to extremes, like filming chronologically -- very rare for a feature film -- and not sharing the full script. 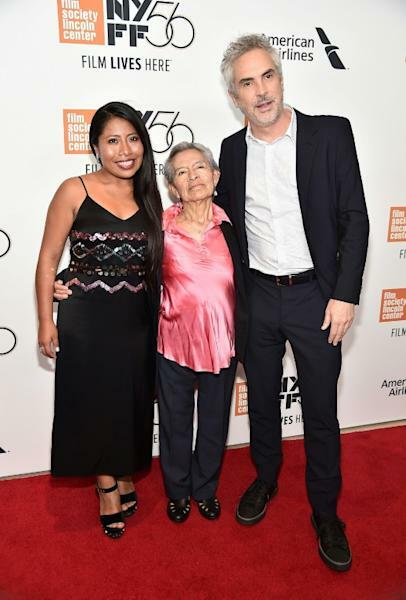 "Roma" focuses on Cuaron's childhood nanny, a young woman from an indigenous community who gets pregnant after her first sexual experiences -- played by newcomer and Oscar nominee Yalitza Aparicio. The film also examines the disintegration of his parents' marriage, taking a wider look at domestic dramas and societal hierarchies in 1970s Mexico. Casting the film was part of Cuaron's reinvention: he insisted that the actors physically resemble the people they were playing -- usually not a requirement. As a result, most of the cast are newcomers to the industry, like Aparicio, who ended up at the casting call by chance, as her sister was the one planning to audition. Each morning, during the more than 100 days on set -- Cuaron's longest film shoot to date -- the director gave some cast members guidelines that did not mesh with those given to others. "Those instructions were contradicting each other, so when I was running the camera, it was chaos, like a traffic jam -- but that's life, life is not neat," Cuaron said at a directors' symposium in January. One such scene was when Cuaron's mother asks the children to write letters to their father, who they believe is on a work trip. They do not realize their parents are separated. The director recounted that he told Marina de Tavira, who plays his mother, to make sure the eldest son "writes a really good letter to the father" -- a supposed representation of their close bond. "And then I went secretly to the kid and said, 'The moment your mother starts speaking to you, just leave,'" he added. He offered similarly confusing directions in a scene when Cleo, the nanny, has a stillborn child. "My job as a director is to create these moments so people are just reacting the way they would react in real life," he said. De Tavira, a veteran Mexican actress who also earned an Oscar nomination for best supporting actress, told AFP that Cuaron's new style "required a period of adjustment." Not knowing the script "helped a lot because there was no technical process of crafting the character, but rather it ended up being more just the result of reality, or diving head first into the ocean Alfonso gave us." Cuaron said the resulting improvisation captivated him. "I had done small bits of improv in the past, but nothing at this level, and it's something I will continue to experiment with," he said. He used a similar method to handle the production design. When designer Eugenio Caballero, an Oscar winner for "Pan's Labyrinth," got the call from Cuaron, the first thing he asked for was the script. "He told me, 'No -- it's written but I don't want it to be like that,'" Caballero recalled. After talking over long hours with Cuaron, he recreated the director's childhood home, right down to its Rationalist architecture. Attention to detail was key. "What was on the table, what kind of street vendor was outside the house, what kind of noises did he hear -- that kind of thing," Caballero told AFP. "From there, we built the movie."